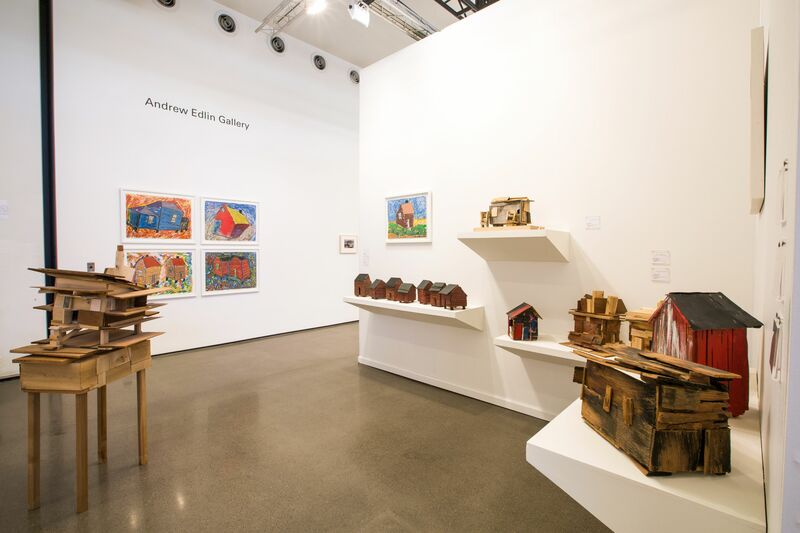 Andrew Edlin Gallery was established in 2001 with a program focused on outsider artists. 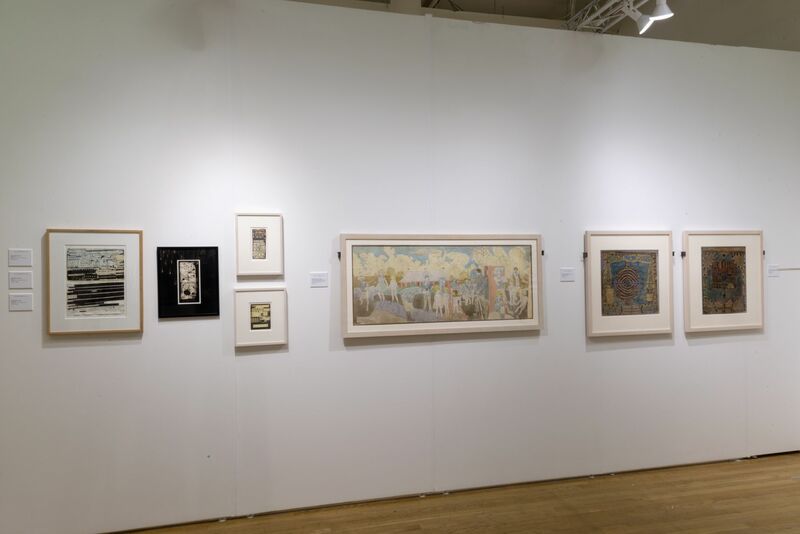 In 2002, the gallery became the first to exhibit the works of legendary Swiss artist Hans Krüsi in North America and, in 2006, it was awarded exclusive representation of the estate of Henry Darger. Emphasizing visually and intellectually provocative exhibitions of both trained and untrained artists, the gallery has come to represent and exhibit the work of artists such as Ralph Fasanella, Marcel Storr, Beverly Buchanan, Terence Koh, and Susan Te Kahurangi King, whose first-ever New York exhibition, held at the gallery in 2014, was met with overwhelming critical acclaim. Originally based in a Chelsea loft, the gallery has expanded to larger spaces several times over its history. 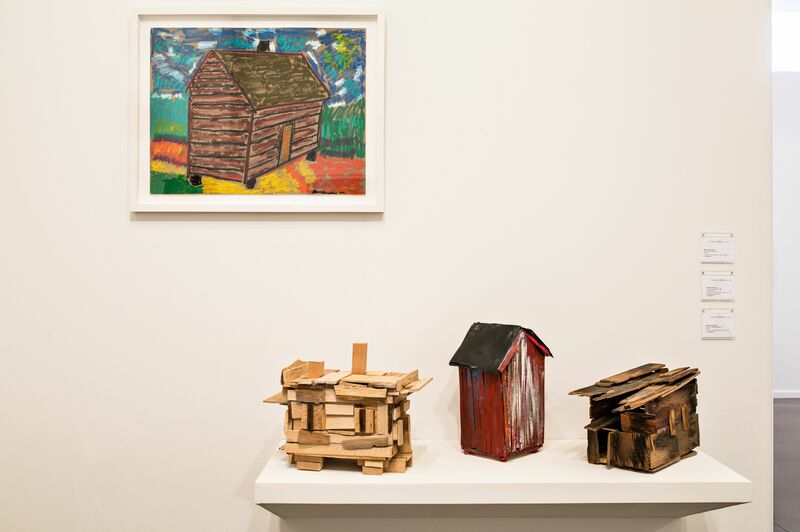 In December 2015, Andrew Edlin Gallery moved to a new 5,000-square-foot space on the Bowery. 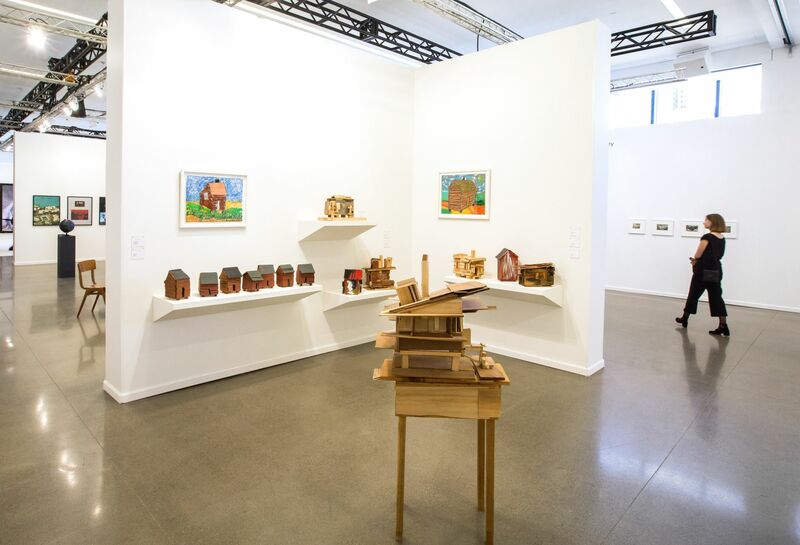 Exhibition view of Andrew Edlin Gallery at Independent New York, 2018. From pie graphs to itty-bitty handball courts, here are our highlights from the Tribeca-based fair. Curator Jamie Sterns and gallery founder Andrew Edlin dubbed the experiment “Et Tu, Art Brute?” They announced that submissions were open, and waited, not really knowing what to expect. Susan Te Kahurangi King's rich, strange drawings at Andrew Edlin Gallery fell into two groups: works from the 1970s and those from the '80s. 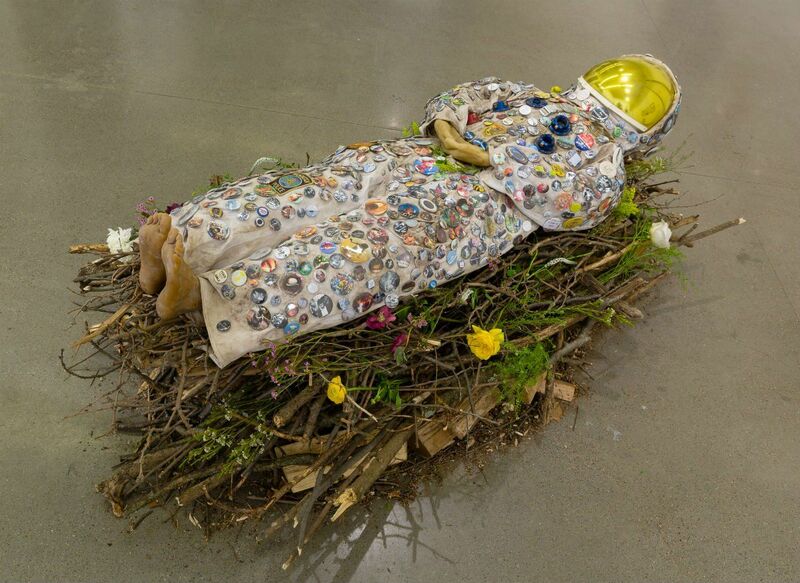 The artist Terence Koh recently installed a single-occupancy "bee chapel" upstate which has been reconstructed in a modified form at Andrew Edlin Gallery on the Bowery.